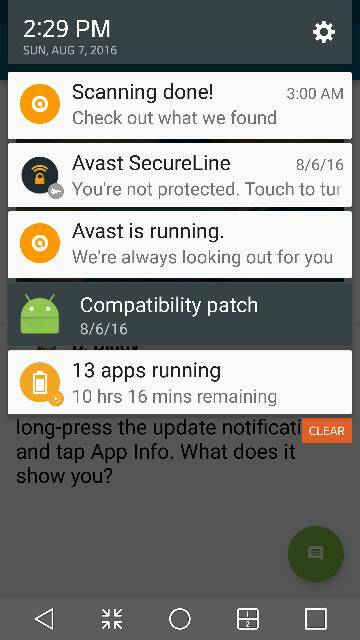 Is "app compatibility update version 20160722" legit? 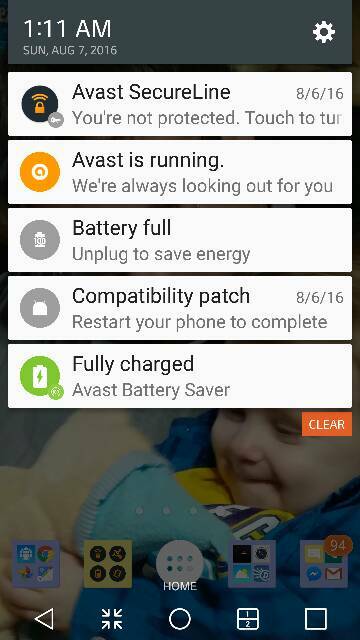 I got notification on an "app compatibility update" yesterday, 08/05/16. I've downloaded it & it is now sitting in my idle apps waiting to be installed. Periodically a window pops up instructing me to restart my device to complete the installation. The thing is, I can not find any valid info on it. I'm unsure whether or not I should install. Running Marshmallow 6.0 on T-Mobile LG G3. Does anyone have info on this update? Here are two screenshots related to the question I previously posted. 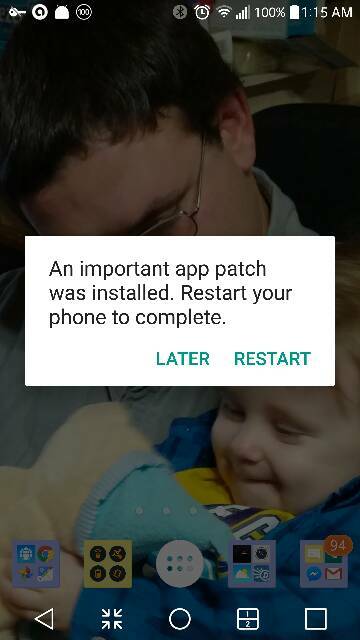 When I tap the notification in the peek view I then see the box giving me the option to select "later" or "restart". Well, let's try this once more. I had two screenshots on the last reply. Don't know what happened to the second one. Swipe down the notification panel, long-press the update notification, and tap App Info. What does it show you? 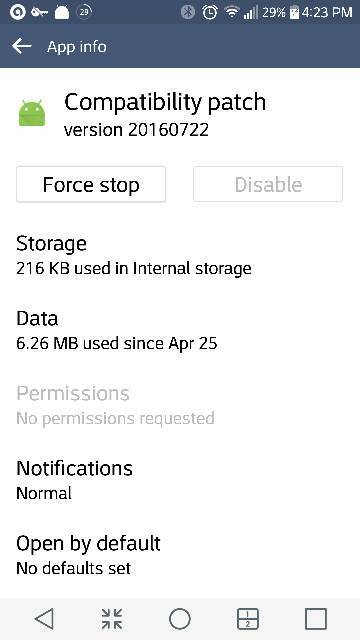 I've sent a screenshot of the notification panel after a long press. It did not result in the ability to tap "app info" or anything else. 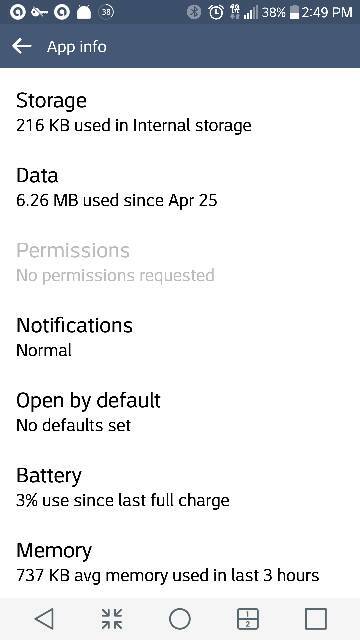 I accessed app info via the general settings tab. It appears that this may be an update for a "compatibility app" that was previously installed. I have not restarted my device yet. Just realized that you're not seeing the top of the app info screen so I've sent another shot. Realistically, if this were a malware package, it would be asking you to install it, not restart. What happens if you power off, then power back on (instead of tapping that Restart button)? Does it keep prompting you afterwards? Why my YouTube app in Android is saying, "Please check your internet connection?" Is there any way to restore corrupted images and videos? Why Samsung pay is in Google play?